Do you suggest increasing subsidies? What are the worries of the minorities in Serbia? Does Vojvodina use the European financial help? Which area did the EU invest money in? Which regions does Vojvodina cooperate with? What are the contents of this Memorandum? What can the USA rescue? How to correct the global imbalance? Our opinion creating and independent Central European magazine with an English enclosure has just begun the ninth year of its existence. Today, we do not know what the year 2009 will be like and how we, all of us, including the publishers of magazines and books will be influenced by the forecasted risk of the possible collapse of the American economy. At the beginning of this year, nobody knows the answer to the question how China, Russia, Japan and the EU will behave and their approach to the USA and the American recession. The highest representatives of these countries and groups are unable to explain clearly what might or might not happen. No one can predict that as nothing works properly and nothing is right. Neither monetary nor liberal theories about the free market, neither Chinese nor Russian patterns of the economic prosperity can. So far, we know the only thing- the private American bank that is called the Federal Reserve System (FED) is still emitting plenty of dollar banknotes with an inscription “ In God we trust”. However, there is no gold so these notes have no currency backing. The same bank tries to withdraw all possible dollars from all over the world. The American domestic debt of 1200 billion dollars is absolutely colossal and allegedly, it will continue growing. The European Union that is energetically dependant on Russia, politically and military on NATO and the USA has not come up with a solution yet. It offered only “life boats” in form of granting citizens´ deposits, nationalisation and subsidies to the bank sector and big companies. Slovakia is still searching for its “compromise” and the coalitional and opposition politicians are not able to communicate with citizens and be frank and open. So, we are living from day to day, without having a clearer vision, we are trying to save our money, we rely on the strong and big west companies, believe in miracle and wait for a “new general”. There are also some people who are waiting how this hunting of big and strong will end up, i.e. “ taking over” smaller and weaker ones. You do not need to be economic experts to ask ministers of economy of the Slovak Republic and Ivan Mikloš´s brain trust whether it is possible to face the crisis by renewing the branches which Slovakia had to sacrifice before our integration to the European Union. And these will be also the topics which will be discussed in your Dimenzie in the year 2009. We would like to face and resist the financial crisis, we are responsible for, at least in a symbolic way. We made our magazine smaller in size but we added twenty more pages of interesting articles. After five years, we had to increase the selling price. Dear readers, we believe that you will support us in our decision and you will stay with us. Thank you for trusting us. Vojvodina makes independent decisions on its further development and new investments. Just over the past two years 2007 and 2008, more than 50 billion dinars (581 mil.EUR) were used for various investments in the economy, agriculture and infrastructure of Vojvodina. Such a great amount of money had not been used for decades,” claims Ana Makanová- Tomanová, the Vice- chairwoman of the Vojvodina government and the Minister of Information. She is the first woman in the history of the Slovak national minority who has been holding the post of the vice- chairperson of the 17- member- autonomic government (the Executive council) since July 2008. She was born in Kovačic in Vojvodina on 25th May 1961. She obtained a university degree at the Faculty of Arts at Belgrade University (a diploma in pedagogy) in 1985. Between the years 1986 and 200, she worked as a journalist and editor. From 200 to 2004 she was the editor- in –chief of the Slovak Desk Radio television in Novy Sad. Since 2004, she has been the chairwoman of the National Council of the Slovak minority. From 2005 to 2007, she was a coordinator of the National Council of the national minorities in Serbia. She is a member of the Democratic Party and is a former MP of the Serbian parliament (2007-2008) where she held the post of the chairperson of the Committee for the International Relations. She is the President of the Association of Slovak Journalists. She is married and has two children. Mrs Tomanová, let me allow beginning our conversation with a very simple question: Where is Vojvodina going these days? What does it wish to change and what does it need to improve to become “ European Vojvodina”? In the election held in May 2008, citizens of Vojvodina clearly proved their orientation and obliged us to continue in our way towards the European integration and cooperation. It simply means that we have to accelerate the reforms and continue developing our economy, agriculture, culture, education, science and other very important spheres of social life. The new Serbian constitution provided Vojvodina with the funds in the volume of 7 % of the national budget. Three sevenths are to be used for capital deposits. During the last two years, money was economically invested in projects that towns and cities in Vojvodina set as priorities. Soon, for example, the construction of the Vojvodina Centre of Emergency Medicine will be completed in Novy Sad; the project cost 1.25 billion dinars (14.5 mil EUR). Moreover, the Institute of Cardiovascular diseases in Sremska Kamenica and the Special Lung Disease Hospital in Bela Crkva will be finished as well. The funds mentioned above were also used to purchase current medical equipment, to build students homes in Novy Sad and Zrenjanin, to construct the nursery in Novy Sad, to build new roads, water pipelines, drainage system in many villages in Vojvodina. On the other hand, the funds that we established (The Fund for Vojvodina Development, Fund for Capital Deposits, and Fund for the development of Agriculture and the Guarantee Fund) helped us to invest money, using loans as well, in new factories, agriculture and food industry. Apart from that, we use “pokrajinsky” (regional) budget to open new factories that use modern technologies for production of goods on great demands on both domestic and foreign markets. Thus 53 new operation areas were established by the end of the year 2008. We also invested funds in loans and credits to buy agricultural machines that were very old- fashioned and overused mechanization for watering, developing of cattle keeping, growing fruit and vegetables, food, civil and wood processing industries. New operation plants and firms helped to decrease the unemployment rate by 25 %. Some European media, however, write that Vojvodina id not of Serbian mentality and that it does not belong to Serbia, that is should be an independent state like Kosovo. What do you think about it? Vojvodina is an autonomic regain (pokrajina) within the Serbian Republic. It was established based on specific national, historical and cultural features as a multinational, multicultural and multi-religious region. It can hardly be compared to Kosovo and Metohija as there have never been any attempts to separate and declare and independent state. What kind of autonomy does Vojvodina have? It used to be an autonomic area within the great socialistic Yugoslavian federation, then it has nothing, and now, it is an autonomic “pokrajina” (region) with its own parliament and the executive council (the government) within the Serbian Republic. Is this model comparable to other models of autonomies, provinces or republics in Europe? According to the new constitution of the Serbian republic, Vojvodina has it own parliament consisting of 120 members (Assembly) who are elected directly in the election every four years. It has its executive, “pokrajinske” (regional) bodies, many scientific and education and cultural institutions- the academy of sciences and arts, its university and faculties. Vojvodina makes independent decisions on its further development and new investments, on the development of social activities. We must not forget that Vojvodina observes the highest standards in the field of applying human rights and the right of minorities. We pay a great deal of our attention to develop the atmosphere of tolerance and mutual respect among the members of national communities living here. It is a specific European region with six official languages. However, ten languages are used for written and spoken communication- i.e. Serbian, Hungarian, Slovak, Romanian, Ruthenian, Ukrainian, Croatian, Macedonian, Bunjevsky language and the language of Romany people. 27 newspapers and magazines, dailies, weeklies, monthlies for young people and children are published in these languages. “Pokrajinsky” public services Radio- Television Vojvodina prepare and broadcast its programmes. Nurseries, kindergartens, primary and secondary schools educate children in their mother tongues, at faculties there are lecturers´ offices established and some of them apply the principles of teaching in languages of the national communities. The cultural life of national communities is also very rich and it has a very long tradition. At the end of the last year, the institutes for culture of Hungarians, Slovaks, Croatians, Romanians, Ruthenians and others in Vojvodina were founded. There are also opinions that citizens of Vojvodina long for more decentralization and more economic independence from Belgrade. Is it really like that? What has to be decentralized- self-government, taxes and economic policy, regional policy or education? At the beginning of October 2008, the Vojvodina Parliament elaborated a new status of Vojvodina in accordance with the Serbian constitution and submitted it to be approved by the Serbian parliament. It has to pass the specific law on Vojvodina so that the decentralization could continue in our country. A new law will enable to shift some competences from the state to the “pokrajinske” (regional) bodies. So, it is not the right time to answer your question yet. Some Hungarian politicians in Vojvodina did not stop talking about the territorial autonomy of the region around Subotica and near the Serbian and Hungarian borders… Is their requirement appropriate? Who initiated and supports it? I have to point out that during the election, the citizens did not support political parties of the Hungarian ethnical community pursing of the idea of the territorial autonomy. People voted for the Democratic Party that pursues the territorial integrity of Serbia and it for the equal right for all citizens regardless their nation or religion. The ballot of the coalition for the European Vojvodina lead by the Democratic Party won. The Party together with its coalitional partner got 80 of out 120 mandates. I think that the requirement of the Union of Hungarians in Vojvodina is not appropriate and is not supported by any other nationalities in Vojvodina as our state guarantees them cultural but not territorial autonomy. This issue seems to be very sensitive in Slovakia, it is compared to Kosovo, but actually, hardly anyone understands what Hungarian politicians set such requirements. Do Ruthenians, Germans, Croatians, Romany people or Slovaks have the similar demands? No. Not I am aware of. What are the main priorities of your post? What will you be pursing in the coming two years? The basic presumption of democracy is free and politically independent media which are not financially dependent on executives. That is why the Pokrajnsky Secretariat for Information supports completion of the process of ownership transformation of media. As our media are not able to live from their own production or marketing, or they do not have high- quality technical and technological equipment, funds for supporting journalists and other media experts, we think that the process of their privatization must be carried out very carefully and slowly. Mainly, it is true for public information means of national minorities, local and regional media that broadcast in languages of minorities. Our “ Pokrajnsky Secretariat for Information finances 27 newspapers and magazines that were founded by the Council of the national minorities and they are published in nine languages- Hungarian, Slovak, Romania, Ruthenian, Ukrainian, Croatian, Macedonian and Bunjevsky language. The financial support presents the sum from one quarter for the Hungarian daily Magyar Szo through two thirds for the Slovak weekly Hlas ľudu up to 97 % for the Romany “Them” published every two weeks. In pokrajina, there are still 21 local electronic media that have not been privatized yet, 17 of them broadcast in one or a few minority languages. Due to the fact that minorities, except for the Hungarian one, are not so numerous, minority programmes are unsustainable from the commercial point of view. And a question arises: what will happen with them if they are privatized without setting particular conditions and without the support of the local environment? Our Office proposes so that the local self- governments financed the production of programmes in all languages spoken in the area based on tenders or just to preserve the minor ownership in media and thus assure that citizens will get high- quality, true and reliable information as quickly as possible. We respect this principle and we finance projects that will contribute to the development of informing at both local and regional levels while we focus on following the professional standards in journalism. Particularly, we pay attention to media that inform blind or deaf citizens and they are orientates to inform citizens in minority languages. Despite the fact that Vojvodina is the most developed region from the economic and cultural points of view, almost the half of the local environment has only one media (usually the radio or rarely a newspaper) to get some new information. Two villages have no media to provide them with news about their region. That is why we focus on the undeveloped areas (in terms of media and receiving information) and we support projects in the field of providing information. Regarding our support, this year we implemented rewards for media who improve their programmes and journalists who showed great performance in the development of investigative journalism. We also give grants to students of journalism and other media branches based on the media needs. Do you also support the media that are published in Serbian language in Serbian neighbours? In accordance with the state bilateral agreements about the protection of the right of national minorities, in the part which is connected with the cooperation with the Serbian diasporas, we financially supported the media in Serbian language in Vukovar- Syrmia County in Croatia, the internet radio SRB in Budapest and media activities of the Serbian- Romanian developing centre in Romanian town of Temeshwar in the years 2007 and 2008. How do you classify the position of the Slovak minority in Vojvodina and their conditions for its political, economic and cultural development? The Slovak national community has been living in Vojvodina for over 250 years. For almost three centuries, they have managed to preserve their own language, national and cultural identity. Present position of the Slovak minority is exactly the same as the position of other ethnical groups. It means that we are still able to keep and develop our own cultural traditions and also create conditions for the development of the areas I which we protect our own specific features and differences. How did the 2002 Law on the Protection of the Members of the National Minorities help them? This law bought some positive changes. The members of minority communities were given the right to vote their own council as an institution, the body of the cultural self- administration. Thus national councils became the only institutions that legally represent its ethnical community. There are four areas of competences: education, culture, information and official use of languages and writing. They also have a right to take part in the process of decisions making or even establish institutes within the above mentioned areas. These institutions are important to maintain cultural and language identity. Members of the Slovak minority took this opportunity and established their council on 18th January 2003. When will the Serbian parliament pass the Law on national councils of national minorities that will define competences of the national councils in the field of education, culture, information and official use of mother tongue? It is true that we lack this law and that it can be another positive step in the legislative definition of the issue of minorities’ rights. Its final version is now at the stage of commenting at individual resorts and when it is approved by the Serbian government, and then it will be sent to the national parliament to be finally approved. Councils of local communities, local self- governments, cultural and artistic groups, primary schools, houses of culture, citizens´ associations, the Slovak National Institute in Yugoslavia expressed their opinions on this law before it got to the government and parliament. The second part of the law is very important as well as it deals with a very important area- election to the national councils. It has been six years since the first frame law was approved. The first national councils were elected for four years. The election of new members is one of the priorities so that they preserved their legal character and worked in accordance wit a law. The law offers direct election and the creation of individual minority ballots. It will be the most democratic way of voting the national councils whose representatives will take responsibility not only for the self- governing region but also for acquired rights, liabilities and further development. In case the members so not write in special minority lists, the law offers “electoral elections”. This law modifies the financing of the national council at the national level; regional level as more languages and the multi-culture is the unique and typical Vojvodina law. They are not dogmas but the way of life. Young and educated people leave the country to live and work abroad. And those who went to study abroad hardly every come back home. Every day we struggle with the lack of qualified people at primary schools, in media and in the field of culture. It is true that our country is going through a very difficult period of transformation and cannot employ those young people. And thus we appeared in a very unpleasant position and we cannot offer them adequate salaries so that they could take over the managerial positions. It is very hard not to follow but also to spread rights and liabilities without intelligence and the elite. New institutes for culture of Hungarians, Slovaks, Romanians, Ruthenians, Croatian in Vojvodina. What is their leading philosophy? The national councils and the “pokrajinsky” (regional) parliament and the government established them. These institutions are very significant institutions leading the area of culture as it follow the acquired rights but also it contributes to the further development and preserving the cultural tradition and presentation of the contemporary culture and art. The minorities are able to create their own authentic cultures which are the part of the culture and art. Vojvodina and entire Serbia. I am very proud to say that the Slovak Vojvodina Theatre represented Serbia at the world theatre festivals. Do you think that it would help democracy in municipalities and towns or in the national councils if the mayors and the members of the national councils were elected directly by the citizens and members of the minorities? Well, direct election is the most democratic one. The members of the National Council of the Slovak National Minority reached an agreement that our community is for direct election and there are not obstacles and the members of the ethical communities will write in special lists of voters as we have to be interested in electing people whom we trust. The Slovak minority supports integration. We are aware of the fact that first of all, we are the citizens of Serbia and we have been living in Vojvodina for 250 years and that is why we want to contribute to the development of our society as a civil and democratic society. Our priority is to maintain all our specific features- national, language, cultural and religious identity. When will Vojvodina have its representatives at the European institutions in Brussels like other European regions of the member states? New status of Vojvodina says that Vojvodina can have its representatives in Brussels. We think that if we are able to watch activities of the European Union and prepare projects by which we will apply for the European pre- integration and structural funds when out time comes. We also think that thus we will contribute to the faster involvement of our country to the European integration. We have set a clear goal- to become the part of the European nations. Unfortunately, Serbia is not a candidate for the integration to the European Union yet and that is why we are very limited in using the European funds to support state institutions, local self- governments, public enterprises and institutions. European help is not directly focused on the development programmes of the private sector. A few local self- governments in Serbia and Vojvodina were supported through the consortia GDSI and LTD. However, the main priorities are the sustainable economic development, managing human resources, budget and possessions. The funds in the amount of 350,000 EUR were donated to smaller municipalities as for example in Titel, Kanjiža, Nova Crnja, Novi Bečej and Irig. Approximately 3 million EUR from the funds of neighbouring programmes were invested and approximately 2.5 million EUR were invested in the programmes between Serbia and Romania mainly in Banat. Neighbouring programmes with Croatia and Bosnia and Herzegovina have not been carried out yet. Since 1997, Vojvodina has been one of the most active members of the Euro region DKMT– Danube – Criş – Mures – Tisza Over the past years some valuable projects have been carried out- from providing the information and tourism to the establishment of the common rescue groups providing help and protection against the natural disasters. These projects are supported by the funds of the European Union. Vojvodina started cooperation with the Austrian Styria, Italian province of Friuli-Veneto Giulia, with the Czech Olomouc region, with the Kiev area in Ukraine, with the Trnava self- governing region, with the Chinese province Ťi- lin and with Tomaszów Mazowiecki County. The middle-term plan of the economic development and 14 projects that are being carried out at the moment are the result of our cooperation with the German state development agency GTZ. Five out of fourteen projects are supported by the Austrian government. The Slovak fund Bratislava- Belgrade is very important in the cross- border cooperation. It is the mechanism of the official bilateral development help of the Slovak republic. We also closely cooperate with the international donors and we are attempting to reach trilateral cooperation. For a few years, it has been a popular shopping centre among Slovaks mainly from East Slovakia. Although Schengen regime significantly reduced shopping for cigarettes and alcohol, cheap oil-fuel, petrol and consumption goods are still attractive for Slovak tourists mostly at present when Ukrainian currency “hryvnia” devaluated sharply due to the financial crisis ((1€ : 10,85UAH). Uzhhorod, the town with the longest lime-tress alley in Europe and with a strong artistic tradition, is full of contrasts as well as begging Romany people. Despite the fact that there is no Albania or Chinese mafia operating in the area, it has not attracted tourists in the fields of gastronomy, country, cultural and congress tourism. These topics are still taboo or they still sound rather as inventions of western civilization which Ukraine does not deserve. The truth is that the town council and entrepreneurs poorly advertise this unused and financially malnutritioned potential. A few new and high-quality hotels and pensions have appeared in the town and its surroundings and their owners must be proud of them but the lack of infrastructure and programmes within tourism do not enable visitors to stay in Uzhhorod for more than two days. Damaged roads, no public toilets, unpainted façades of houses and buildings, mainly those built during the era of the first Czechoslovak Republic, untidy parks- all these will still strike your eyes even after18 years when Ukraine became an independent state and Uzhhorod has been the gateway to this laboratory of western and domestic reforms that has gone through tough times. There is a chance for change and other progressive developments. For example, the Austrian and Slovenian company is going to start up the construction of the first aqua park in Ukraine this year. It was approved by the recent referendum which finally broke the blockading administration and political fight between the town (the self- government) and the Regional Council (the state authority). Uzhhorod is now the furthermost west and also the smallest regional capital city in Ukraine. It is the centre of the East Carpathian region and Uzhhorod district that spreads on the banks of the river Uh and it is only two kilometres from the Slovak- Ukrainian birder. The town has 120,000 inhabitants of 60 nationalities. Most of them are Ukrainians and Ruthenians, Russians (9.6%), Hungarians (6.9%) and Slovaks (2.5%). The Arpads who joined Uzhhorod to the Hungarian Kingdom in the 11th century, owned the castle until 1241 when Tatars came plundering. The ruins of the original castle chapel dating back to the 12th century remained in the park in the north-east part of the castle that burnt out in 1728 after it had been stricken by the lightening. The castle got its present Renaissance character thanked to the Drugeth family that possessed the castle for 360 years. From the Battle of Mohacs (1526) when the Hungarian Kingdom lost its independence to the middle of the 17th century, it used to be a watch castle of the Habsburg Austro- Hungarian Monarchy placed on the border with Transylvania. At that time, Uzhhorod was going through a very dynamic period of development but it also became the arena of conflicts between Orthodox, Catholics and Protestants. Religious and political restlessness ended in 1646. It was the year when the Uzhhorod Union was declared- East Orthodox Christians joined the Catholic Church. This act was signed in the Drugeth´s Castle Chapel on 24 April 1646 and in the Subcarpathia as Carpathian Ruthenia used to be called. Thus the history of the Greek - Catholic Church began. In 1707, Uzhhorod became the centre of Protestants from Transylvania (under Turkish protection) who fought against Habsburg Catholic Reformation policy and for religious and national freedom. Francis II Rákoczi II, a leader of the biggest anti- Habsburg uprising (1703- 1711), led negotiations with envoys of Caesar Peter the Great and French King Luis XIV concerning the cooperation. The castle was the Greek- Catholic seminary from the year 1775 to the end of the Second World War. Reconstructed frescos in one of the former rooms of the seminary remind us that fact. After the year 1946, the castle became a museum. There are five expositions included in the present offer of the museum- national- geographic, about the history of the region, musical instruments, Byzantium icons and liturgical books. The legacy of vivid faith and modest life of Mr and Mrs Mandič who met and married in Medjugorje. Vido had been praying for his wife with a rosary in his hands for over 12 years. He is a father of six children and together with his wife Maria they want to develop country tourism. They are farmers and produce pršut (ham) and wine. They live just for their happy marriage. There are tough times in Bosnia and Herzegovina as the state does not give any children or family allowances. Fiction? No, it is a true story of a Slovak- Croatian couple whose prayers and belief in God got them together. I met them in a small hilly village of Gornji Mali Ogradženik in Bosnia and Herzegovina which has only 120 mostly elderly inhabitants. I visited them to get some more information about their life. They are only 25 kilometres far from Medjugorje, Holy Mary Pilgramage place which has been spiritually looked after by Franciscans. They attend the holy mass every single day. They say their marriage and six healthy children are the art of God that only religious Christians with open hearts and soul can understand. When Maria was 19 years old, she left Levice and came to Medjugorje, Bosnia and Herzegovina. She was looking for a job or at least for a seasonal job. She had reached a life crossroads. She attended Secondary Church Nursing School in Bratislava. For some time, she lived and worked in Germany and looked after people. Then, she returned home. However, she was unable to find a job in Levice or surrounding area so as a strong Catholic, she decided to go to Medjugorje to find answers to her questions and to pray for her further way of life. “When I was living in Slovakia, I already knew that people living in Medjugorje and its surroundings are opened in prayers. For example, the prayer ´ Our Father´ they say with their arms open. First, I wanted to work in Majčino selo (Mother´s village) a place for education and care for orphans and abandoned children. Slavko Barbarič, Franciscan priest, established this orphanage, “ says Maria Mandič who is now 31 years old. She comes from a family with many children, she has ten siblings. “ My application was not successful, there were no free job opportunities. Finally, I found a job in the asylum centre for the Croatian refugees from Bosnia, i.e. in the house of the Merkovič family, “ she continues. When she came to Medjugorje, she could not say a single word in Croatian language. She worked just for food and accommodation. She often went to pray at magic Podbrdo and Križevac where Mary Virgin appeared for the first time. She prayed the calvary there. One day, she met her future husband Vido, a traffic warden who worked in Mostar. He also comes from the family with many children and has six siblings. “ I used to go to Križevac and prayed for my job and my future wife for twelve years. I was not able to find her for s long time,” Vido laughs. He is 45 years old. “ God has always led me and helped me to meet people I joined my life with. And he sent me Vido, “ Maria adds. She has both Slovak and Bosnian citizenship. She also told me, their relationship was not ideal and they had to go through many God´s ordeals. “ Step by step, she got to know Vido and his family. Every day, we met and prayed together. Men show much more respect and esteem to girls and women than in Slovakia. It is a result of traditional bringing- up; boys are taught by their mothers. Unfortunately, over the past years, it has changed in Bosnia and Herzegovina as well, “ Maria claims. After eight months, she returned to Slovakia. She worked in the Institute for mentally insane people for three months and waited how their relationship would continue. He first visited her in Slovakia on 11th November 1996 (St Martin´s Day) and they got married in February 1997. Where? In Medjugorje. I learnt that his monthly income is 400 EUR and that they need from 800 to 900 EUR a month. “ God and Holy Spirit take care of us. There are always some people who come and help us. We live from God´s providence, for present, from day to day. And we are happy. We cannot imagine different life,” contented and calm Mary adds. Meanwhile, her husband prepared some refreshment. Home- made bread is made of yeast, flour and salt. When I tried it, it was simply divine. No wonder. It tasted like real bread and not like so-called modern European, Finnish or Slovak bread with various flavours and additives “made in Tesco. While I was enjoying my slice of bread, Vido cut a piece of his home- made pršut- smoked pork ham. Thin delicious slices. No flavours or additives. “ Ham is dipped in salted water for a month. Then, it is smoked for one or three months,” he explains. 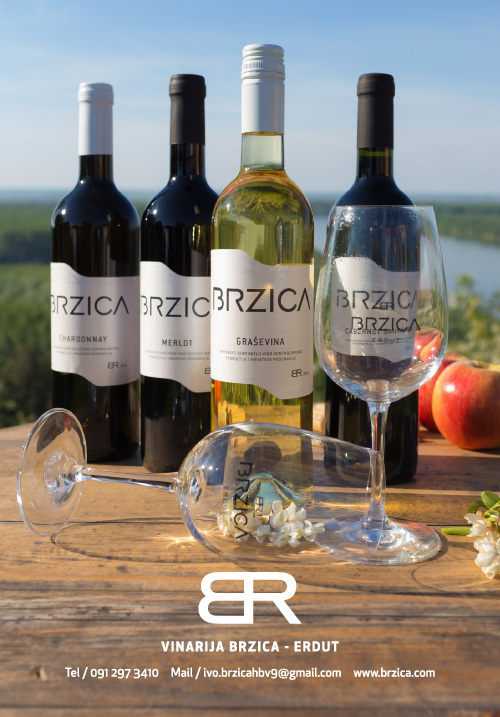 “ Before you start to taste it, you must try our white wine Žilavka and rakija (liquor). They are all God´s donations, “ he says and pours some quickly. “ We would like to start up the country tourism as we have so much to offer people and tourists. Pršut is made of our pigs that we keep. Vineyards really help us. We produce thousand litres of wine every year,” he adds and watches me how I am enjoying all this delicious food. The ecological production, clean fresh air, peace and quiet. What do I need more? See you soon! „It is all about the mutual cooperation in the fields of the support of research, documentation and propagation of important personalities, events, works and traditions of the Trnava Self - Governing Region. We also help students to choose the topics of the theses and bachelor’s works and works focused on science and research, “says Doc. Ing. Jozef Matúš, CSc., extraordinary professor, Dean of the Faculty of Mass Media Communication at the University of St. Cyril and Methodius in Trnava. The Faculty of Mass Media Communication established in 1997 is one of the three faculties of the University of St Cyril and Methodius. It has five departments- mass media, marketing, artistic and language communication and the department of law and humanities. The Faculty has all the university degree accredited (bachelor, master, doctoral) in both studying programmes- Mass Media Communication and Marketing Communication. In the academic year 1997- 1998, there were only 87 students studying there, now, there are 2460 students studying there in this academic year 2008-2009. The school was recently given funds from the structural funds of the European Union for Infrastructure Support of Universities. The school built new multimedia laboratories with state-of-art equipment. Mr Matúš, is it still true that many students are interested in studying at your school? The demand is high, every year from 2,200 to 2,700 people apply to study at our school. Even though we exceed the figures given, we can accept more than five hundred students. Our advantage is that we are the Faculty while other universities just have the departments and institutes dealing with the mass media studies. And there is a very big difference. Graduates, who left the school in the past, established the tradition of students and many of them are successful specialists operating in the field of marketing communication and many of them are famous personalities and experts in mass media area. On 28th June 2008, your school and the representatives of the self- government signed the Memorandum about the partnership and cooperation in the field of maintaining, support and promotion of the regional identity of the Trnava Self- Governing Region. In Slovakia, it is a usual way of cooperation between the school providing higher education and the self- governing region. What were your reasons? Every school providing higher education somehow wants to collaborate so that the results reached mainly in the field of science and research could be put into practice. Since the beginning of our existence, we have been cooperating with the entrepreneurs and we focused on the area of city and regional self- government. The cooperation with the Trnava Self- Governing Region became more intensive when Tibor Mikuš, the Member of the Slovak Parliament, was elected the leader of the region. We began slowly, most of all; we solve various tasks and some projects that were supported by the structural funds and mainly the European Social Fund. Signing the Memorandum is the greatest success of our cooperation so far. Our Faculty and the Trnava Self- Governing Region are aware of the present social and political situation under the conditions of the European integration that is being carried out at the moment and also we are worried that the traditional values of the nation and region are slowly disappearing. That is why we decided to cooperate in terms of maintaining the regional identity of the Trnava Self- Governing Region. Both sides agreed on mutual cooperation in solving the need of preserving and supporting natural heritage, historically approved values, folk traditions and crafts, the legacy of outstanding personalities or extraordinary cultural works coming from the Trnava Self- Governing Region. How are you and will you be meeting further goals of the Memorandum? Predominately, it is all about the mutual cooperation in the field of the support of research, documentation and propagation of important personalities, events, works and traditions of the Trnava Self - Governing Region. We also solve the choice of the topics of thesis and bachelor’s works of students and works focused on science and research by the pedagogues from the faculty and experts. Moreover, we intend to create conditions for that kind of cooperation, organizing various cultural and social events. For example, we would like to introduce two international scientific conferences under Mr Mikuš´s patronage. The first will be held on 29th and 30th April 2009, it will be focused on the issues like media and mass media communication, the second (3rd and 4th November 2009) will focus on marketing and marketing communication. You mentioned Mr Mikuš, the President of the Trnava Self- Governing Region. It was him who initiated the improvement of the cooperation between your faculty and the region? The representatives of the region are in its second electoral period. We started to get to know with the previous self- government but the cooperation was limited to a few activities. Even the previous government helped us. I will mention Renáta Zmajkovičová who worked as the director of the Office of the Trnava of the Self- Governing Region. However, the situation got better when Mr Mikuš was appointed to the post. He is a very charismatic person, his personal qualities and interest in cooperation mean that we can become valuable partners and we, at the faculty, really appreciate it. And I am not talking only about the patronages and sponsorships. Moreover, Tibor Mikuš is aware of the fact that universities are not a city- forming factors but factors that can help the entire region. Do you develop the cooperation with the Cultural Council of the Trnava Self- Governing Region as well? You are its member, aren’t you? We really appreciate that the cooperation with the Trnava Self- Governing Region, they often discuss with us the issues that are not included in the matters of our Faculty- personal or scientific views on particular issue. At the Cultural Council, it is predominantly the area of culture or marketing culture that has not been elaborated sufficiently yet. Due to the fact that I am the member of this council, exchange of information is flexible and bilateral. Events and activities organized by our faculty or other cultural activities of the region are included in the Council Agenda and we can be active in terms of cooperation. Whoever, who is well-informed about the situation of the higher education in Slovakia must say that signing such a Memorandum and putting it into practice must be profitable or more profitable for school. What does you Faculty of Mass Media Communication offer to the region and how can your school help the region? Let me give you some new examples. The fact that our Faculty is the member of the tourism cluster, we offer the region the basic theoretical and methodological solutions. Even now, at the time of the economic recession, it is not difficult to manufacture a car but to sell it. And this is the wonder of marketing and marketing communication. At the Faculty we have a subject called the marketing of tourism that deals with the better use of tourism and increase of its influence on the development of the region. Let’s say it frankly. The Trnava Region has some reserves in this field. Some areas are not promoted sufficiently even though the situation is improving, starting with Trnava and continuing with Piešťany. Someone might think that there are no more reserves but it is not like that. And it is not only in this region. First, we have to have an intension and be able to communicate. And this is the art that some people do not know yet. Our advantage is that many of our graduates work for the Trnava Self- Governing Region in its structures. It makes mutual communication much easier. I have learnt that your students will participate in the creation of Župný spravodaj. To what extent? Our students are just starting in “Župný spravodaj” (The County Newsletter). However, we do some medial outputs away from the “newsletter” and the Trnava Self- Governing Region. We also have a contract with the television Markíza and the News Agency of the Slovak Republic. We would like to represent our region by our graduates who operate in media or marketing fields. On 10th December 2008, we established the advisory board of the dean of the faculty with our graduates as members. They help us pursue topics in the communication media with an impact exceeding the borders of the region. You have mentioned some areas of cooperation you have already begun. Are there any which would not begin without the Memorandum? I think that we would not be able to solve our intentions without the cooperation with the Trnava Self- Governing Region. Apart from the cluster for tourism, the cluster for the automotive industry is also important. This cooperation will improve the quality of the activities performed by the Faculty. Students are given opportunities of practical trainings in the Region and the possibility to process the collected data in their thesis and bachelor’s works dealing with various topics. It might seem as not very important but many entrepreneurs allow students to access to the information so necessary for writing the thesis. Fortunately, it is not true for us and it is profitable to everyone. The Faculty and students, they get much better results as you notice it very easily that they had sufficient approach to the particular information. And of course, the Trnava Region can use these outputs in practice. Is it true that the University of St Cyril and Methodius wants to use its foundation in order to support talented and excellent students? It is Mr Mikuš´s initiative to help students within the various forms of contributions and grants. The Status of the Trnava Self- Governing Region states that the region cannot support the university directly as it belongs to the competences of the Ministry of Education. However, the region can support outstanding students who will participate in solving the problems of the Trnava Region. And this is the main purpose of the foundation of our university. It is worth praising and it is really unusual act in Slovakia. If Obama wants to see a sustained recovery, he will have to put forth an international economic reform program that is as bold as his proposed domestic program. He must encourage China and other large surplus economies to expand domestic demand to offset weakened US consumption. The great financial bubble of the Clinton-Bush years has ended in tears--in home foreclosures, bank failures and what promises to be the most severe global economic recession since the Great Depression. As President-elect Obama puts together his economic recovery program, he needs to understand that the economic crisis is the result not just of unscrupulous mortgage lenders and unregulated investment bankers on Wall Street but of the globalization of finance and trade that key members of his economic team set in motion when they were in the Clinton administration. The uncomfortable truth is that the current system of global commerce and transnational finance is inherently prone to crisis and is incompatible with Obama‘s goal of rebuilding the American middle class. Any sustainable recovery on the domestic front, therefore, will depend on his success in getting other countries to agree to fundamental changes in that global system. Globalization is not necessarily bad if properly regulated among similar economies. But the globalization of the Clinton-Bush era not only lacked safeguards for labor but rested on two mutually reinforcing, flawed models of growth: debt-financed consumption in the United States and other Anglo-Saxon economies and oversaving and underconsumption in the production-oriented export economies of Asia. Not surprisingly, the global integration of these radically different economies produced an unhealthy pattern of growth characterized by asset bubbles and large global trade imbalances, with the United States running large deficits and China and Japan running large surpluses. The root cause of this unbalanced world economy was the enormous pool of excess savings generated by China, Japan and, more recently, the petrodollar states of the Persian Gulf. This global savings glut, as Federal Reserve chair Ben Bernanke called it, helped fuel a succession of asset bubbles in the United States, culminating in the expansion of easy credit and the rapid run-up of housing prices following the collapse of the tech-stock bubble. The housing and credit bubble in turn helped inflate consumption by enabling households to take on more debt; household debt as a percentage of disposable income rose from 90 percent in the late 1990s to 133 percent in 2007. This pattern of economic growth had other worrying features. Corporate profits soared as companies in the developed world took advantage of China’s low wages, lax environmental standards and undervalued currency to locate production there. But wages and family income in the United States stagnated under this and other low-wage competition (as well as from the declining power of organized labor). As a result, income and wealth inequality increased in the United States and China. The US tradable-goods sector also took a hit as Japan, China and other Asian economies manipulated their currencies to maintain competitive advantage. Over the past seven years the United States lost nearly 4 million manufacturing jobs. During this same period, large chunks of industrial capacity were transferred from more energy-efficient developed countries to energy-inefficient developing countries like China, which compensated for its energy inefficiency with lower wages. This relocation of production helped spur increased demand for oil and gas, setting off an energy price spiral, which was exacerbated by bubblelike speculation in these commodities. Higher oil prices resulted in the transfer of huge amounts of wealth from middle- and working-class people in the United States and other oil-importing countries to oil producers in the Gulf and elsewhere. This pattern of economic growth was not sustainable because it caused a huge shortfall in global demand, which had to be filled by America’s debt-financed consumption--the US current-account (all the goods and services imported balanced against those exported) deficit increased from 1.7 percent of GDP in 1997 to 6.5 percent a decade later. Economic growth came to a crashing halt when US households reached the point where they could no longer take on more debt. The bursting of the housing and credit bubble set off a deleveraging process that has spread across the world economy. In fact, few countries have been immune to falling asset prices and frozen credit markets, or to rapidly falling demand for their goods and services. Because the incoming Obama administration faces a crisis of global proportions, a recovery program will have to be global in scope, and it will have to correct the huge imbalances globalization created. The president-elect has said very little about his international economic policy. But if he wants to see a sustained recovery, he will have to put forth an international economic reform program that is as bold as his proposed domestic program. The reason is simple: given the high levels of household debt, the US economy can no longer be the demand locomotive that pulls the rest of the world out of recession. Other economies will have to pull alongside the US economy. The main focus of the new administration’s international economic statecraft must be on the large current-account surplus economies--China, Japan, Germany and the petrodollar states, which are running surpluses of 9.5 percent, 4 percent, 7.3 percent and more than 10 percent, respectively. These economies must lead in spurring world growth not only because, with the United States, they bear responsibility for the crisis but also because they are in the best position to lead, given their large surpluses and foreign currency. For better or worse, they must become the collective substitute for the American locomotive, either by stimulating demand in their own economies or by recycling their surpluses to stimulate demand in other economies. The first element of the new administration’s global program should be to encourage China and other large surplus economies to expand domestic demand to offset weakened US consumption. Germany, Japan and the Gulf states are well positioned to expand their economies--preferably by cutting taxes on consumption and increasing social spending to spur more domestic consumption. China has announced what at first appeared to be an impressive stimulus program of $586 billion over two years. But it turned out to be mostly a repackaging of existing spending commitments by local governments and state companies and was heavily weighted toward infrastructure investment, which in the case of China will do little to create domestic consumer demand. Worse, the central government took steps to shore up the export economy by increasing export subsidies and allowing the yuan to depreciate, thus making Chinese goods less expensive in the world market. In shoring up its export as well as its state-led investment sectors, China has embraced what amounts to a beggar-thy-neighbor strategy that supports its growth by taking a larger share of a shrinking global pie. And that is what global depressions are made of. A change in the pattern of China’s growth is not only critical but long overdue. Over the past decade, investment and savings there have grown much faster than consumption. Consequently, China has an unusually high savings rate of nearly 50 percent, while consumption constitutes only 35 percent of the economy. A world economy simply cannot function when the second-largest economy (measured by purchasing-power parity) has such a lopsided imbalance between savings and consumption. Albania is still the poorest and the most isolated country in Europe. It has a untrustworthy government, ruined education systems and health care, it has no infrastructure, no export and it cannot be the member of the NATO in April 2009 due to the corruption in the country. There is a very heated discussion going on today in Albania about the direction the country is taking and given the fact that we are entering in an elections year, the discussions have gained in energy and the tones have radicalized considerably. Naturally on the one hand there is the governing coalition, for whom everything is rosy as rosy can be. The prime minister and a host of his colleagues and political allies are constantly waving a list of figures and percentages in the face of the public as proof that everything is great, that the economy is booming, that corruption is being fought and that the country is making great strides towards EU and NATO integration. But that is the government view and as governments do it tries to create an optimistic picture of the situation in the country. That however is not a view I or many other Albanians share. Of course, compared to 1991 when the Communist regime fell, or to 1997 when the state fell Albania has made significant progress. She is a painter, deals with graphics and illustrates books. She was born in Bratislava on 4th February 1958. She studied at the Secondary School of Art Industry at Professor Rudolf Fila and at the Academy of Fine Arts and Design in the ateliers of Professor Albín Brunovský. She has worked in Slovakia and Greece since 1958. Her paintings and graphics are approaching to us from the imaginary world that is so delicate and quiet. Paleness of colours, which she layers with such a great deal of sensitivity, in a slow mature evocate atmospheric shiver and create particular space for meditation. She places people and landscapes in the vague space and time out of which only shadows of human being appear. They become a symbol in new content relations and connections. Her creative world is the world of desire for freedom, for something that it is perhaps unachievable but it is worth inspiration. Prague (1988), Athens (2002), Thessaloniki (1996), Vienna (2004), Medzilaborce (1995), Nové Mesto nad Váhom (1997, 2005), Bratislava (1998), Trenčín (1999), Athens (2002), Vienna (2004), Bratislava (2005), Mojmírovce (2007), Valjevo (2008), Krk (2008). The Award of Honour in the Competition for the most beautiful book of Czechoslovakia (1983), The Award for bibliography in the competition The Most Beautiful books in Slovakia (1997). Her works are involved in the following collections: The National Gallery in Prague, The Galler of the Capital City Bratislava, The Gallery of M.A. Bazovský in Trenčín, The Gallery of Peter Matejka in Nové Mesto nad Váhom, The Fort Gallery in Barcelona, The Macedonian University in Thessaloniki, The ETH in Zurich.